There are many ways to calibrate a monitor, but the most common method employs a calibration tool: a calibrated tristimulus colorimeter. This allows you, using the screen's settings as well as software-based calibration profiles, to adjust the monitor's output to match an absolute reference accurately. For most people, this isn't very accessible since it requires an investment, often costing hundreds of dollars in equipment and software, or the contracting of a professional calibrator which can also cost a significant amount. Fortunately, much of the calibration process can be done with reasonable accuracy using basic test patterns. While it might not be fit for critical work in a professional setting, it can substantially enhance the picture quality and provide a much more balanced image. Here is our guide on how to calibrate your monitor to help make sure colors are represented accurately. The easiest calibration setting is one that most people have probably already used. 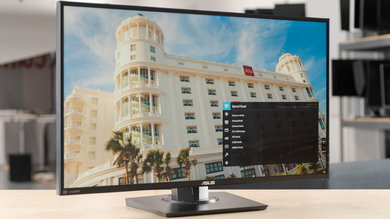 The backlight setting changes the amount of light your monitor outputs, effectively making it brighter. Changing the backlight level on your monitor does not alter the accuracy of your screen significantly, so feel free to set it to whatever looks good to you. It is sometimes called brightness, which can be confusing. Generally, if there is a single setting called brightness, it refers to the backlight, and if there is both backlight and brightness, the backlight is the one you should be changing (as the brightness setting alters the gamma calibration which we will look at later on). 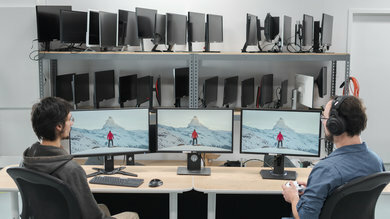 When it comes to color calibration, the best place to start adjusting the colors when calibrating your monitor is usually the picture mode. These are the setting presets the monitor comes packaged with and usually alter most of the image settings. If you are not using a colorimeter for calibration, this is pretty important since it is otherwise very difficult to enhance your monitor's color accuracy. 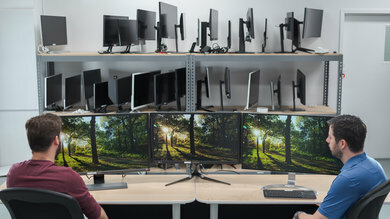 For the monitors that we review, we measure each of the picture modes and pick the most accurate one as part of our "Pre Calibration" test. In general, though, the best mode is usually the Standard or Custom preset. Some Monitors sometimes also come with an "s.RGB" picture mode. It will sometimes have decent color accuracy, but most monitors lock the rest of the calibration settings when this picture mode is enabled. Because of this, it is rarely the best mode to pick. 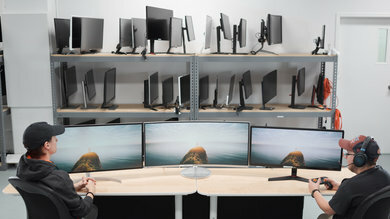 The brightness and contrast options of the monitor's calibration settings change the way the screen displays tones at different brightness levels. These are easy options to adjust when calibrating your screen without a dedicated calibration tool, as most of the job can be done fairly accurately while simply displaying different gradient patterns. The brightness setting affects the way the monitor handles darker colors. If it's set too high, the blacks will look gray and the image will have less contrast, and if it's set too low, the blacks will get "crushed". Crushing means that instead of showing distinct near-black steps of greys, the monitor will instead just show them as pure black. This can give the image a very high contrast look at first glance, but it loses a significant amount of detail. When calibrating your monitor, the best way to adjust the brightness is by using a near-black gradient test pattern such as the one above. Raise or lower your brightness setting until the 17 step disappears completely, then go back one step to have it be visible again. On a few monitors, this setting will be called black adjust or black boost, while some monitors might omit the option completely. Thankfully though, it is unlikely that your monitor will have any major issues with this out of the box. The contrast setting is very similar to the brightness setting but it affects the brighter parts of the image rather than the darker parts. Much like brightness, setting it too high will cause brighter images to "clip", which is similar to crushing, while setting it too low will darken the image and reduce contrast. Much like when calibrating for the brightness, adjust the contrast until steps up to 234 show some visible detail. The last few steps should be very faint, so it might take some trial and error. Sharpness is one of the easiest settings to adjust, and generally, the default tends to be fairly accurate. Adjusting the sharpness changes the look of the edges of shapes that appear on-screen. Having it too low will give you a blurry image while having it set too high will give the picture an odd look with strange looking edges. It will also usually cause close, narrow lines to blend together and produce a moiré effect. The simplest way to calibrate this aspect if you aren't pleased with the default is to set it at max, then lower it until no strange pattern forms between the lines and shapes of the test image. The color temperature adjusts the temperature of the overall picture. A cooler temperature gives a blue tint, while a warmer temperature gives a yellow or orange tint. Think of it like the tone of the light outside depending on the time of the day; when it's noon and the sun is shining bright, the clouds and skies look almost pearl white without a distinct yellow. In the morning or evening though, as the sun sets, the light turns yellow. At night, when everything is lit by moonlight, white objects look blue. We recommend a 6500k color temperature, which is the standard for most screen calibrations and is equivalent to midday light (also called Illuminant D65). 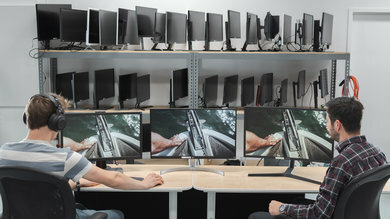 It is generally on the warmer side of most monitors' scales. Some people find it too yellow, though, so feel free to adjust it however you prefer during your monitor calibration. The white balance refers to the balance of colors across different shades of grey. An absolute white or grey has equal amounts of every color, with only the luminance distinguishing them. Unfortunately, it is not really possible to adjust these settings with any form of accuracy without the necessary equipment. In general, we recommend most people to keep these settings alone as they can quite easily make things worse. 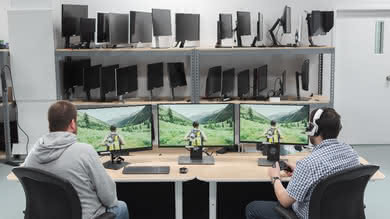 Even copying our settings made using a colorimeter is not recommended, since these values will most likely be different across different units of the same monitor. If you do calibrate your monitor using a tool, it is likely that your calibration software will create a calibration profile that ends in .icm. This is an ICC profile which is effectively a reference table that your computer's programs can use to display content accurately on your screen. In general, this is better handled on Apple's Mac OS, as Windows and Windows applications tend to be quite inconsistent with how they use these profiles. 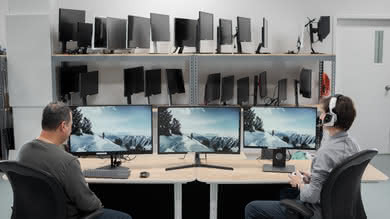 Much like the white balance, however, we don't recommend you use an ICC profile built on another monitor for your own, even if it is an identical model. The variance in accuracy between units tend to be quite distinct, so the correction that these profiles apply might not necessarily match what your monitor needs. While usually less problematic than on TVs, there are a few settings that can alter the quality of the motion produced by the screen which can be adjusted. The overdrive setting adjusts the speed at which the monitor's pixels switch from showing one thing to another. Usually, the default setting tends to be optimal, but you might prefer setting it higher or lower. A too strong overdrive setting will cause the pixels to overshoot, which creates a strange looking inverted ghost following moving objects on-screen. A too low setting will simply create more motion blur, with longer trails following moving objects. You can learn more about overdrive in our motion blur article. 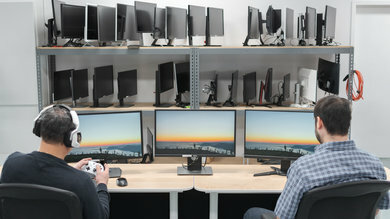 G-SYNC and FreeSync are variable refresh rate technologies that allow the monitor to synchronize its refresh rate with the framerate of the input device automatically. This is a great feature that reduces stuttering and generally makes for a more fluid experience. If your monitor supports it, we generally recommend keeping it on at all times unless you encounter bugs with certain games. 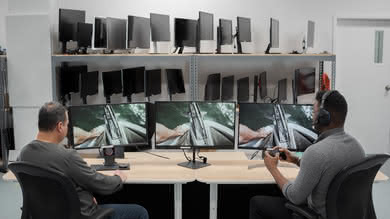 G-SYNC specifically also includes a "variable overdrive" feature which makes manually adjusting the overdrive setting of your monitor redundant if you have it enabled. 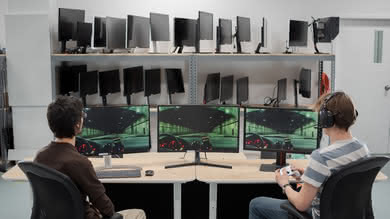 You can learn more about these technologies in our G-SYNC vs FreeSync article. 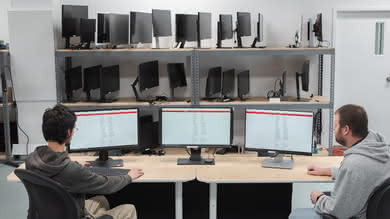 The refresh rate of your monitor refers to the frequency at which it updates what is shown on-screen every second. 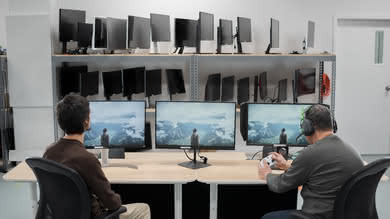 The standard refresh rate found on most monitors is 60Hz, but some screens, usually gaming-oriented, will support upwards of 240Hz. You should almost always set it to as high as possible. 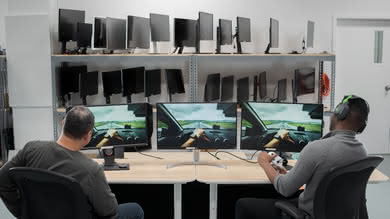 You can learn more about refresh rates and our related tests in our refresh rate article. 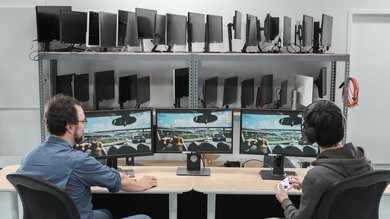 Some monitors also feature a game mode (sometimes called instant or low input lag mode). 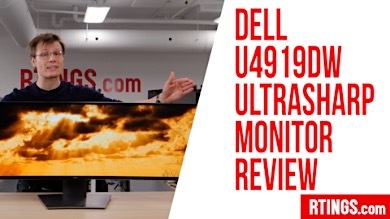 We recommend using this feature, as it usually does not alter the picture quality of the screen and lowers the input lag produced by the screen making it more responsive. 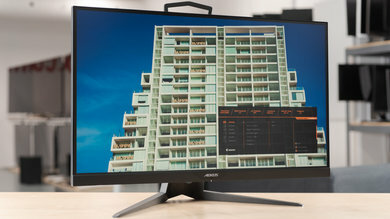 Gaming monitors come with a series of strange features nowadays, and many of them include a crosshair overlay you can enable within its on-screen settings. This allows you to have a fixed center point appear on screen which can be useful for some first-person shooter games which do not have a crosshair. It might be considered cheating in some circles, though. 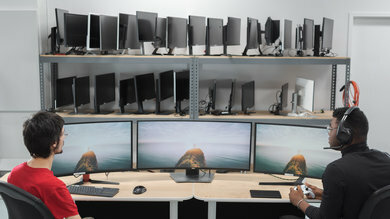 Similar to what is found on iPhones and many Android phones, many monitors have a blue light filter which can be enabled. This is often called "night shift", and it reduces the amount of blue light emitted by the screen, giving it an amber shade. This is said to be less fatiguing on the eyes and some users prefer enabling this setting at night. A similar effect can be enabled using software called f.lux which can be found here. 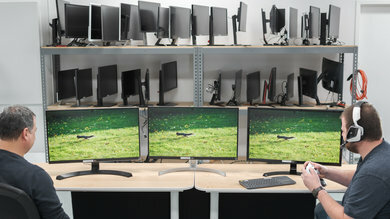 Many monitors come out of the box with a series of energy-saving features enabled. This generally alters the picture quality in undesirable ways and are better kept off. 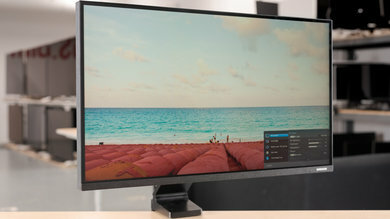 Usually, monitors will also have a dedicated "eco" picture mode that enables these features. 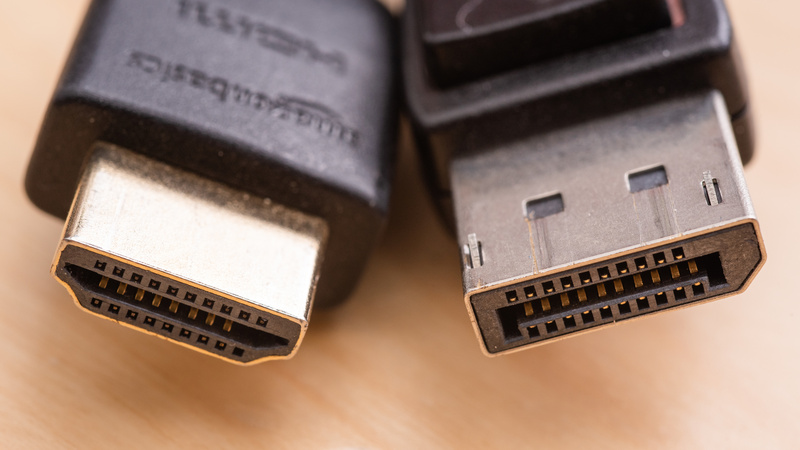 If you would like to reduce the energy consumption of your monitor, we recommend reducing your backlight setting instead. 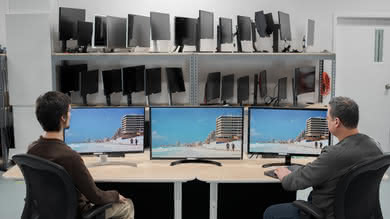 Simply turning off your monitor every time you step away from your desk also greatly reduces idle consumption.